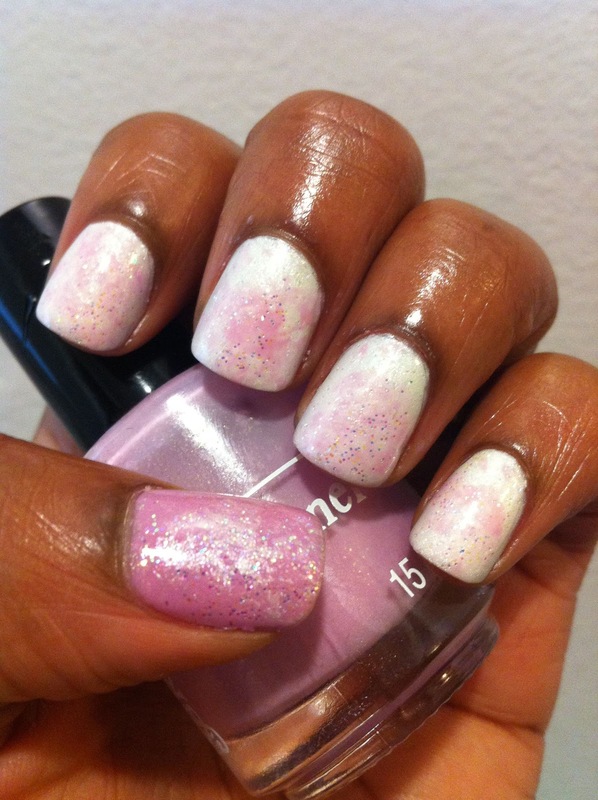 The first guest post that I have for you is from MariJo from Polish Obsession. Hi everyone! I'm truly honored to do this guest post for Bregje! I'm definitely a big fan of her beautiful manicures. When I was trying to come up with something for this post, I kept thinking of how awesome Bregje is at doing such subtle and pretty manicures. Especially with her stamping. I have no stamping skills at all, so I decided to use saran wrap because that always gives a nice subtle look. I started off with two coats of my favorite white, Orly Au Champagne. 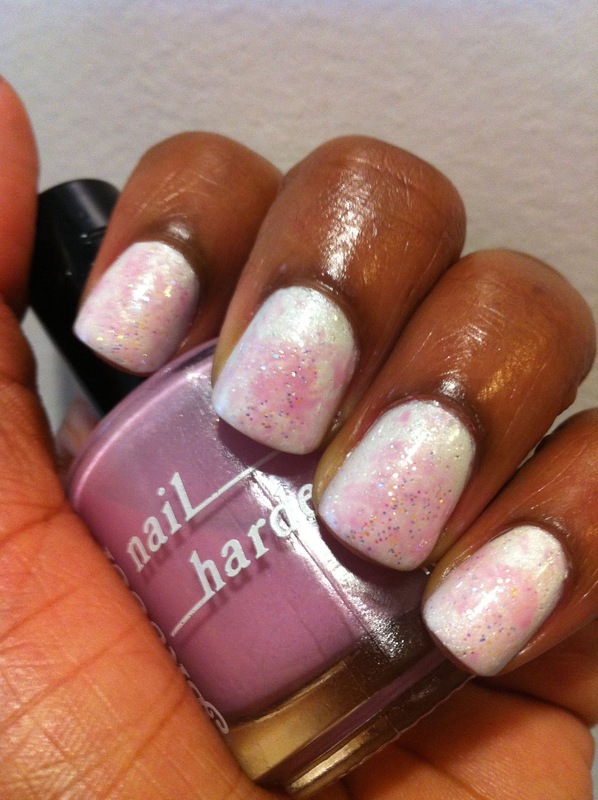 I then used saran wrap to add Brucci's Heidi's Glow, a gorgeous pink/purple with shimmer. On my thumb, I did the reverse (two coats of Heidi's Glow and Au Champagne with the saran wrap). I finished the manicure off with Essence Space Queen for a bit of sparkle. I then used Seche Vite Fast Dry Top Coat. I really liked this look a lot. The color combo was really pretty and I love the subtlety of it. I hope you all like it too. Thanks again for having me Bregje! Don't you just love saran wrap and all the pretty things you can create with it, like this delicate and soft combo? I also like the thumb accentnail, it's something different than the more common ringfinger accentnail, will have to try that sometime too :) And I love the sparkly touch MariJo added, it goes so well with the others colors and makes me think of princesses! Thanks a lot for your post, MariJo!